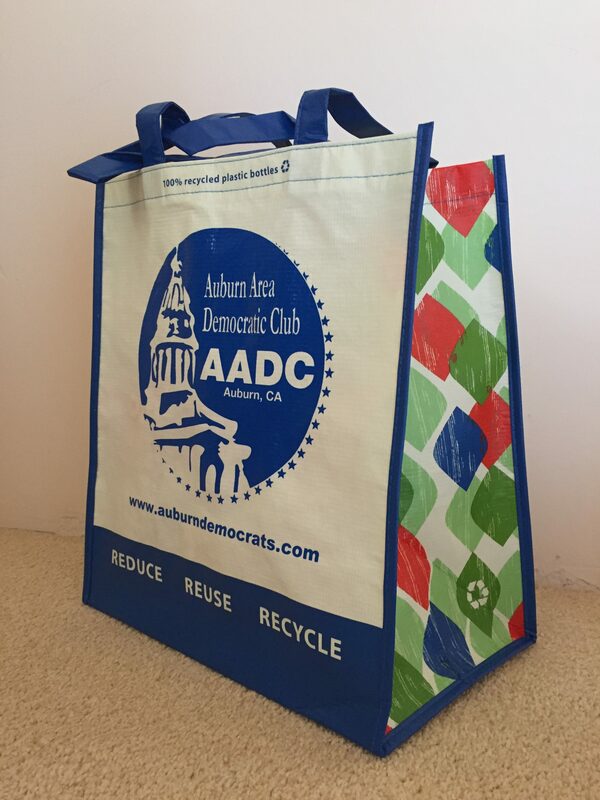 Show your support for Democratic values in the Auburn area by proudly using your AADC Tote Bag when you go to the store! Purchase your Tote Bag, then pick it up at our next AADC Meeting (1st Thursday evening of the month at the General Gomez Arts & Events Center, 808 Lincoln Way, Auburn, 7 pm - see our Events Listing for details). Only $5 each, but feel free to donate any amount you want to!